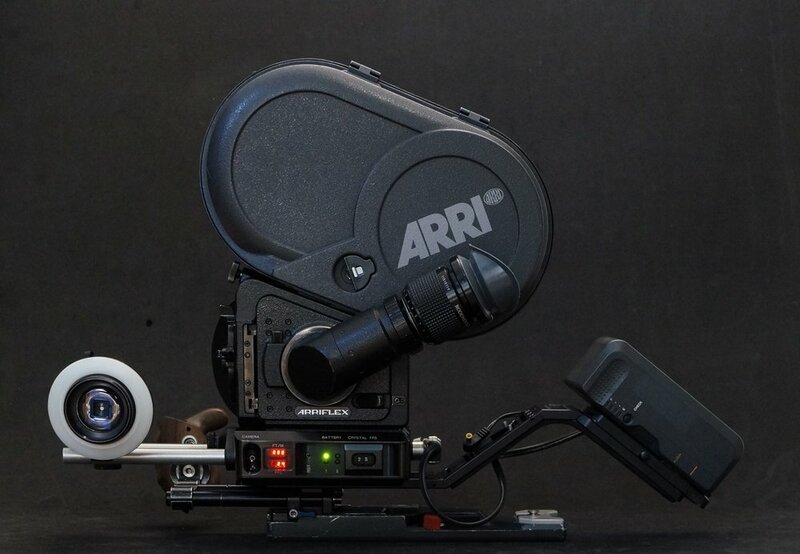 Arri 3C is a rare upgraded version of 2C, it only made in 1982. It has factory PL mount, variable shutter, standard 4pin XLR Power Port and Orientable viewfinder. This model is modified as 3 Perf by P+S Technic. It had been serviced by Visual Products. Everything is in working condition and ready to shoot. You can get more detailed explanation towards 3 perf advantages below. Package includes 4 different Magazines. Main package has Modern x2 Arrimag 400ft which are tested and works great. They are lightweight and easy to use. There is two more extra mags which are in working condition but not tested. one of them is original P+S Tehnic mag (400ft) and other one is Arriflex 200ft. I mostly use 200ft when i buy short-ends, i keep them for handheld use, because the magazine is soo compact and minimal. 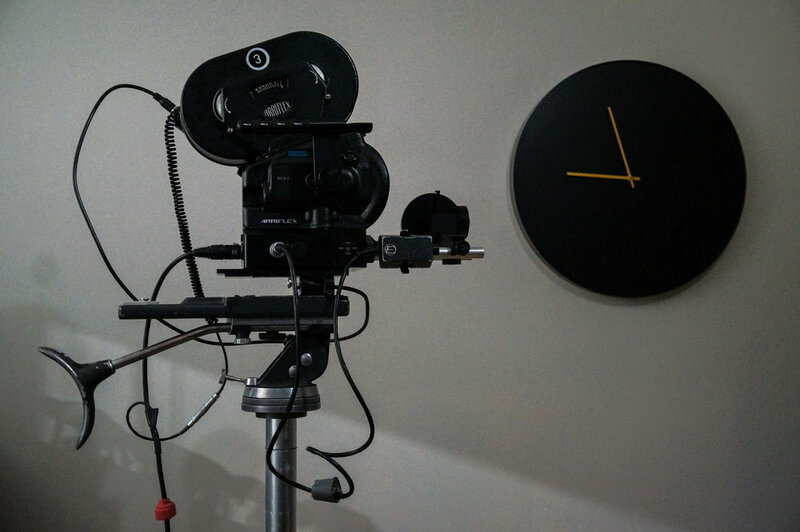 Studio Setup for Arri IIIC can be seen below with all the components. Its meant for Shoulder use or Fluidhead /Heavy Duty Tripod use. Note: Aaton Wooden Handle and Follow Focus is subject to availability - Those parts are used on my Aaton A-minima Setup. Here are the components / parts from the package. 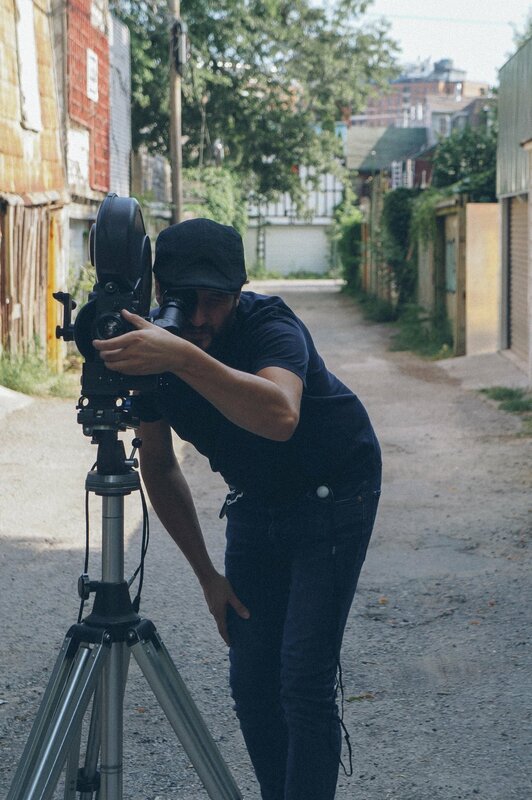 Arri IIIC isnt a lightweight camera. Specially when Cinematographer base is connected. But when special Arri Pistol Grip is attached its surprisingly easy to use. I always use 200ft magazine on handheld setup because of size and the length. I personally dont shoot more then 2-3 minutes with this camera in handheld mode. Handheld setup can be seen on right image - This is the easiest way i find in this setup. Wit this setup someone else needs to manage the batteries to be able to have full portability. Otherwise you would be stuck with the lenght of XLR cables. Other option is to use lightweight V-mount batteries with Wooden camera battery slide (19mm) - it can be attached on separate rods behind the cameera. I dont have that option pictured but you would get the idea if you know the pieces im talking about. Arri IIIC has B&W Videtap with BNC composite connection. Videotap on this camera is quite sharp and really good. It can be connected to viewfinder easily in couple of seconds. Package doesnt include any monitor, But its best to use one of Transvideo on-board or Stedicam monitors. They work great and its meant to be used with this camera. The crystal speed range of the 2C CRYSTAL MOTOR BASE is 1 through 80 frames per second (fps) in 1 fps increments. The crystal speeds are selected with two push-button digit switches that are protected by a sliding door. Crystal speeds of 33.333 fps and 16.666 fps are also provided for flickerfree filming with 50 Hz HMI lights. The motor base runs forward or reverse at all speeds; the direction of filming is determined by the FWD/REV switch located on the right side. An out-of-sync beeper with adjustable volume chirps when the camera is not running at the selected speed. In addition to driving the camera at 1 fps continuously, the 2C CRYSTAL MOTOR BASE makes your camera an excellent choice for single frame time-lapse photography. 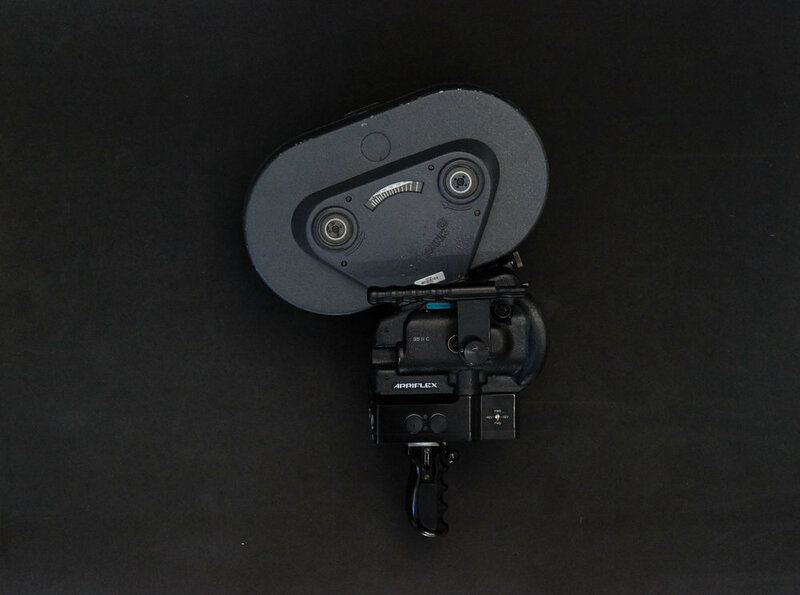 To activate this single frame feature, connect a Cinematography Electronics Intervalometer or Single Frame Push-Button Cable into one of the accessory connectors on the motor base. In this mode, the exposure time for each film frame is 1/3 of a second. Located on the camera assistant's side of the motor base are a digital LED tachometer and footage/meter counter. The tachometer displays the running speed of the camera or the selected (preview) speed when the camera is off. The footage/meter counter, with reset and a four-hour memory backup, displays the total film count. 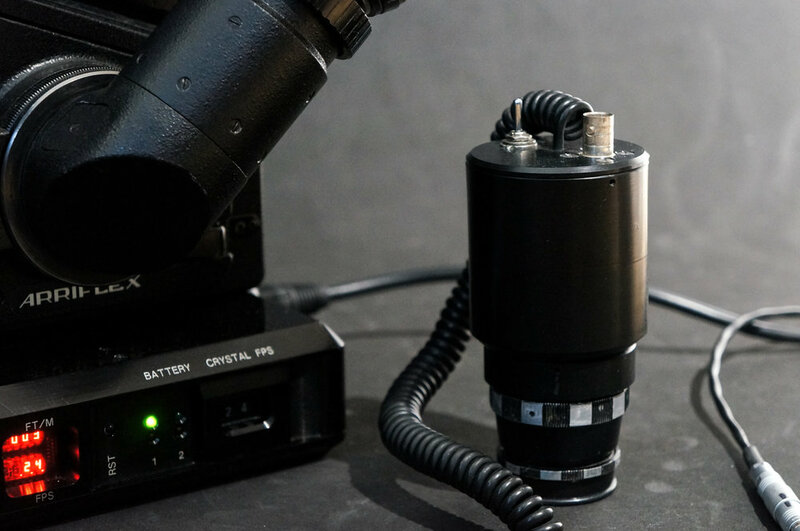 The 2C CRYSTAL MOTOR BASE is powered by one or two 12 volt DC batteries, and has two battery indicator LEDs that show the voltage condition of each battery. A resettable circuit breaker protects the entire motor base. The 2C CRYSTAL MOTOR BASE stops the camera with the mirror shutter in the viewing position. 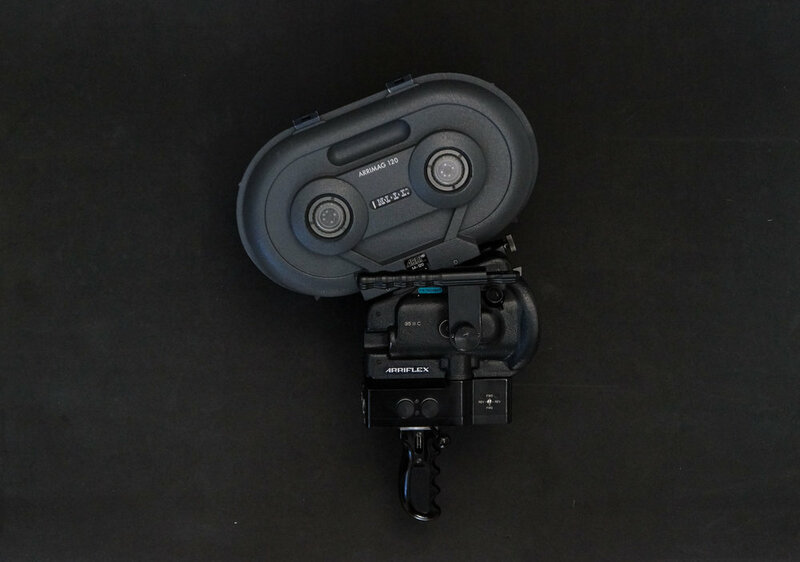 In addition, the motor base has two camera run switches; a toggle switch on the assistant's side of the camera for tripod work, and a momentary push-button on the rear surface of the base for hand held filming. The 2C CRYSTAL MOTOR BASE attaches to the bottom of the camera with two captive lockdown screws. A rubber coupling mates the motor base with the star-shaped drive gear on the camera. This coupling reduces noise and helps isolate the camera from motor vibration. 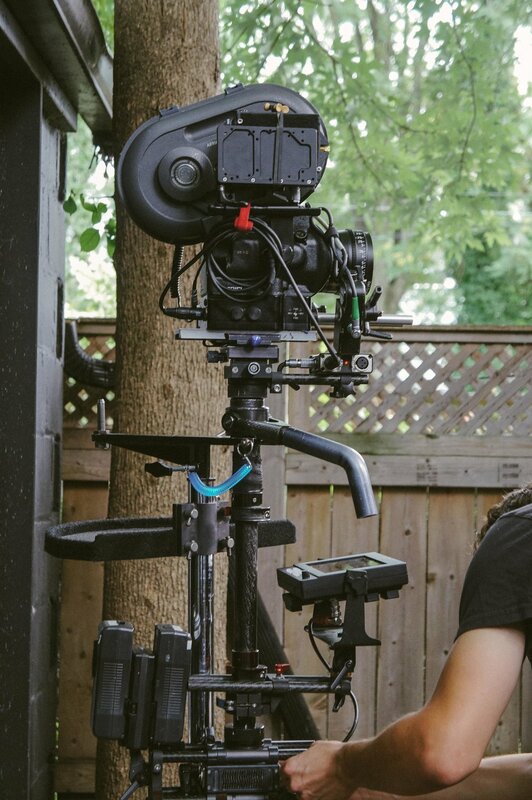 Our comfortable configuration of the motor base under the camera makes hand held filming easy. 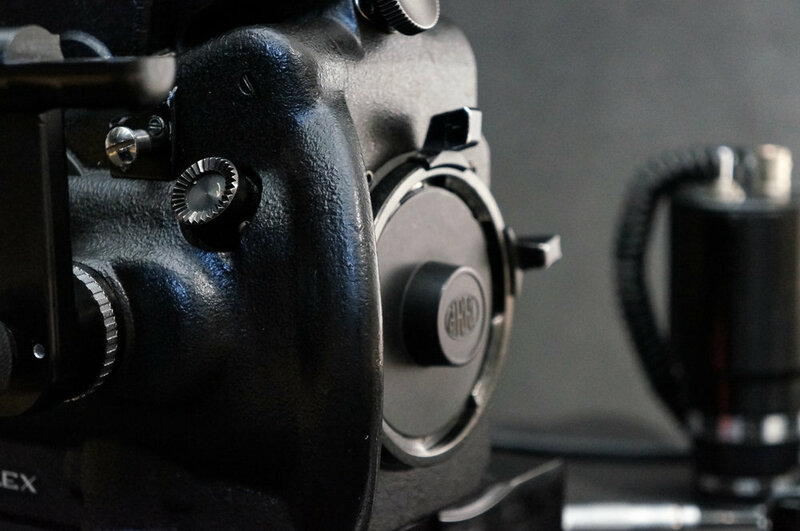 The 2C CRYSTAL MOTOR BASE includes a built-in follow focus bracket for attaching Arri-type hand held lightweight support rods and matte boxes. For filming with studio tripod setups, the 2C CRYSTAL MOTOR BASE provides mounting holes for attachment to standard balance plates and support rods (15 mm or 19 mm). 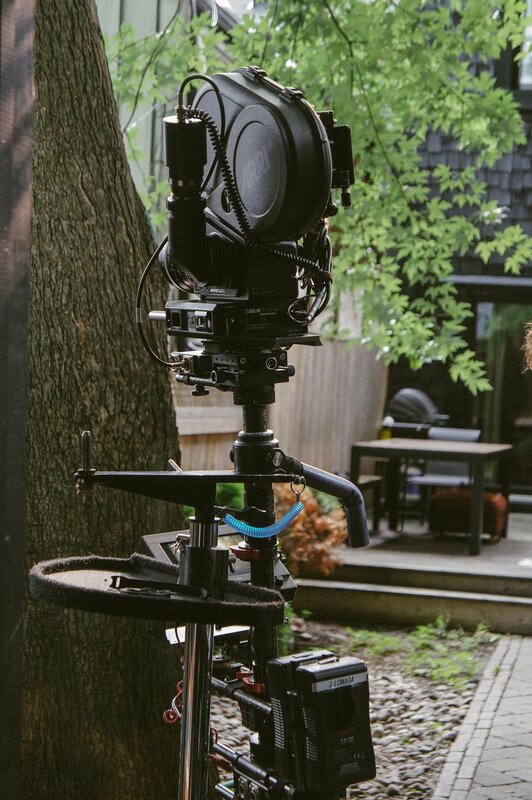 This places the lens at the proper height for matte boxes and lens accessories. 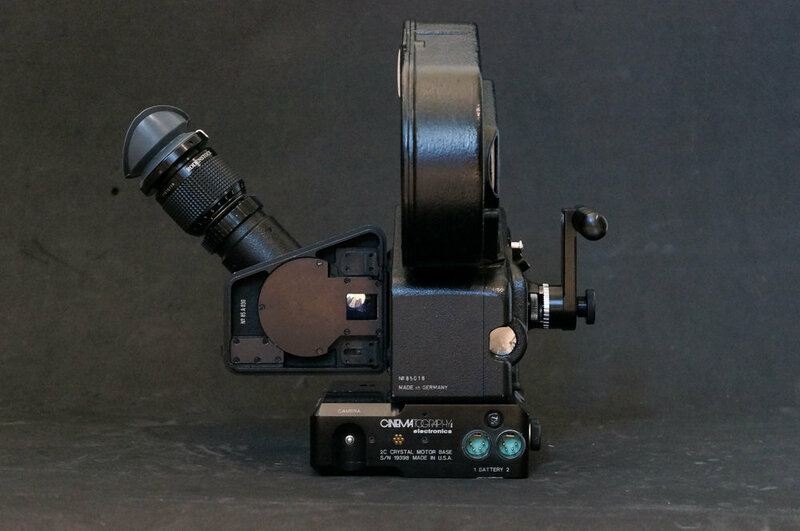 The 2C CRYSTAL MOTOR BASE is the professional choice for your Arri 2C - 3C type camera. Instead of a traditional 4 perforation movement, which advances the film 4 perforations for each new image, a 3 Perforation movement advances the film only 3 PERFORATIONS, eliminating the previously unused space between frames. This results in a 25% savings in film stock and lab costs with the same image quality. Most wide screen 35mm projection formats, including 1.85 and Super35 / 2.35, do not use the full 4 perforation height of the 35mm frame. They fit easily between 3 PERForation height for picture information are Normal 35 anamorphic and material originated specifically for a 4:3 Full-frame TV transfer. 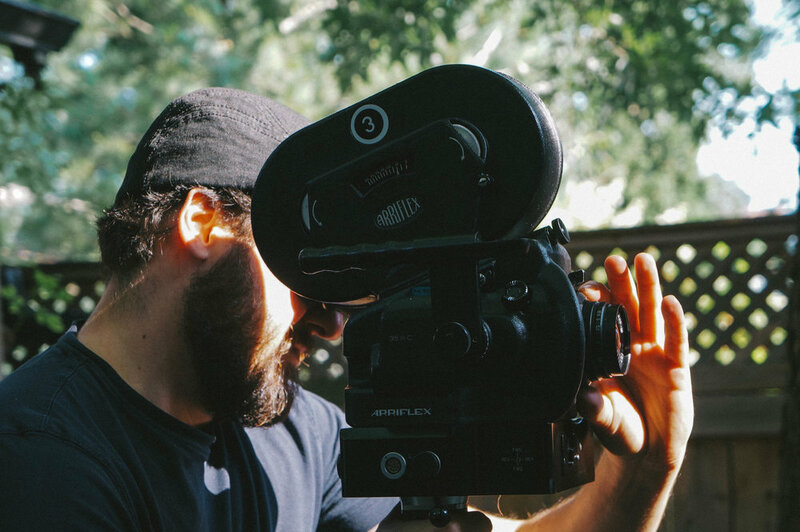 Many Producers are now looking at shooting 3 Perforation for features with a theatrical release to take advantage of the cost savings and longer shooting times. The Digital intermediate, on the other hand, makes it possible to scan the complete 3 perforation negative and perform all post production digitally. Specially these times everything happens in digital intermediate route, there is no reason not to shoot 3 perforation.